The world of virtual parties is exploding. More and more people are hosting parties online to drive sales in their party plan businesses. A live virtual party is a lot like a home party or a pop-up boutique. You still invite a hostess to promote and participate in the process of product demonstration and social shopping, but instead of having the participants come to her house, you invite guests to participate online through social media. Most of the prep work for a virtual party is similar to hosting a home party, but there are a few additional things you need to plan in advance. How long will the party run? When will it start and end? Will it be 100% virtual, or will there be an in-person event with an online extension? What platforms will you use to host and promote the event? Not sure how to host a virtual party? There are lots of options and lots of how-to articles and videos about it online. People have run virtual parties on platforms like Facebook and YouTube, as well as on their own personal websites. Some companies have their own official virtual party software. It is likely that MLM software companies will develop sophisticated systems for supporting virtual parties over time. If your company has an official system for virtual parties, some of the ground work is done for you, but you may still want to supplement that software with some of the popular social media platforms others are using. Live streaming video on social media such as YouTube, Facebook, Instagram, and Periscope is one of the hotter options at the moment. 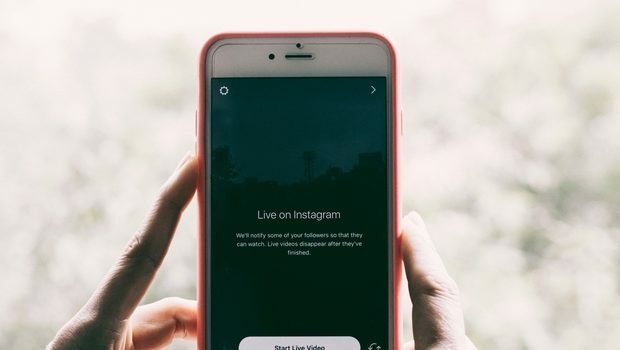 You can use a smartphone to broadcast video of just about anything, promote the live stream through social media, and see messages from viewers while the stream is in progress. No fancy editing is required. The kids might interrupt and the dog might bark but that is okay with your audience, because it’s par for the course with a live event. Your confidence and smile are the stars of the show. The idea of streaming video is that it’s impromptu, personal, real. You might want your videos to be more polished, and that’s a totally valid choice. But for many direct sellers, the personal feeling of live streaming is exactly right for their businesses. You may find that using multiple platforms is the most beneficial. You might promote the party with Twitter, Facebook, and Instagram, stream it with Periscope, and handle sales through your replicated site. The right answer for how you run your virtual party will depend on the specific needs of your product. You want a way to track who attends your party. Support your hostess in extending invitations to her party over 7-14 days prior to your event. You have probably done this step several times already for in-person parties. Find a hostess and set up the table together. Put together a few games that either relate to your business or have prizes that relate to your product. Create urgency—you might do this by, for example, limiting prizes. Before your party begins, make sure you have a bundle or package that will be available only for a limited time at a special price. Your hostess is the key to your success. When they are excited and motivated to invite attendees and they feel supported in taking the steps that make your parties popular, you will grow your success. Make a short video with your hostess inviting friends and family to your party for their Facebook page. Create a graphic about the event that your hostess and friends can comment on. Send an invitation email that your hostess can forward to friends and family. Send 5-10 images that your hostess can tweet, pin, and so on. Use some images of products combined with dates and times of the party. Create a contest for those who attend in person and a separate contest for those who attend online. The end of your party is almost more important than the beginning. This is the point where you invite your attendees to make a purchase or decide to host your next party. If people can watch a replay or order at their leisure, consider an “after-party” special for the 48 hours after your party ends. Follow up with your host/hostess 24 hours after the party closes to give them a sincere dose of gratitude and to tell them you look forward to their next party and will follow up with them. After all the attention you have given them, avoid ignoring them because they may continue to help you have successful parties for years to come. Is there any platform that works like a facebook event but is not facebook that can be created and the link sent to someones phone to access the “virtual party”?